Collection of 'Cool Volkswagen Van Inspired Products and Designs' from all over the world. 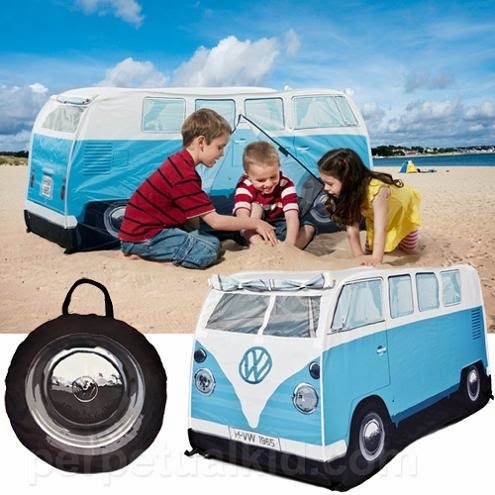 VW Camper Play Tent: These play tents modeled after the original 1965 Volkswagen camper bus, comes complete with side entry door and roll-up window. 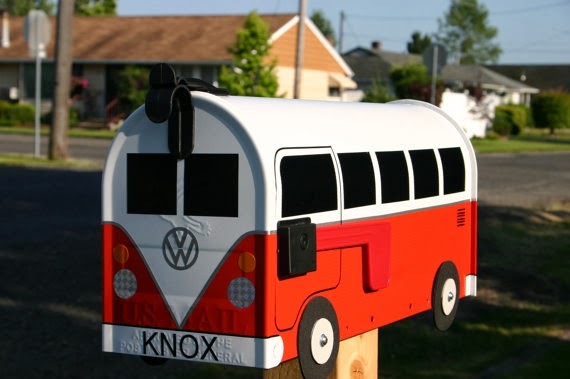 It measures 21 inches wide x 65 inches long x 30 inches tall. 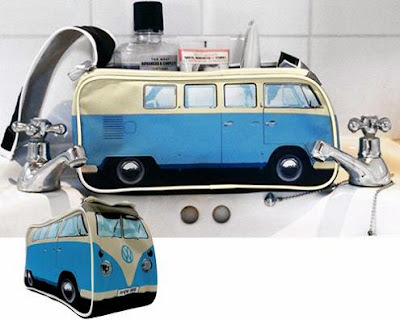 Volkswagen BBQ Bus: This Volkswagen BBQ bus is a Transporter scale model with a specially built barbecue pit. VW Camper Toiletries Bag: With this adorable VW Camper toiletries bag, you'll never forget your shampoo or toothpaste again. It measures 12 inches long x 5 inches wide x 5.5 inches high. 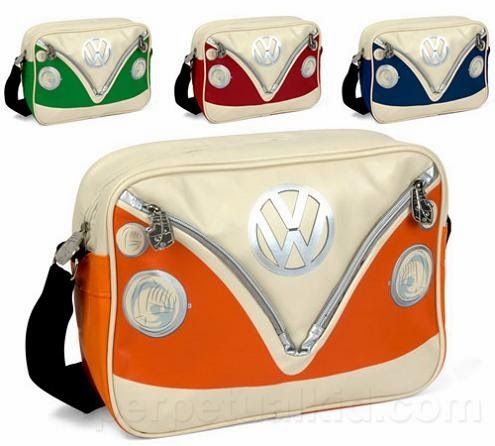 Volkswagen Bus Shoulder Bag: The bag features a zipped closure with many pockets inside, key clasp and two front zipper pockets with VW Bus pulls. 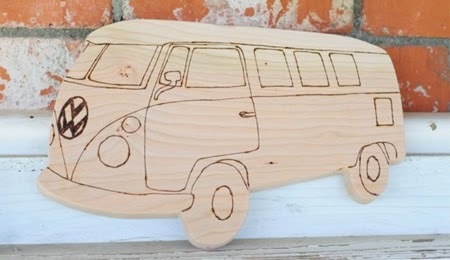 It measures 14 inches long x 10 inches tall x 4 inches deep. 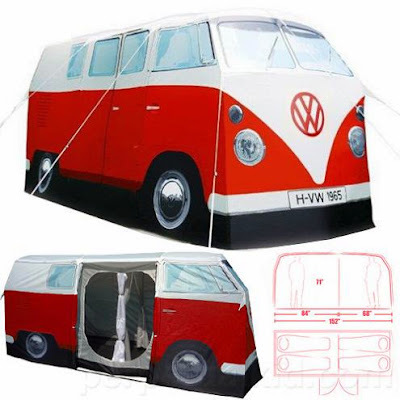 VW Camper Van Tent: The VW camper van tent is exact to the original 1965 VW Camper Van; the tent can accommodate four people and there are two, zip-separated rooms for a little privacy, and there are storage pockets on the inside walls for keeping your stuff. 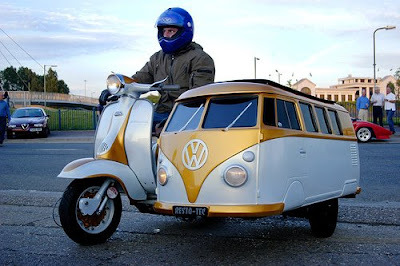 The outer tent measures approx. 13 long x 6 feet high x 5 feet wide and it has waterproofing at 3,000mm on the roof and 1,000mm on the sides. 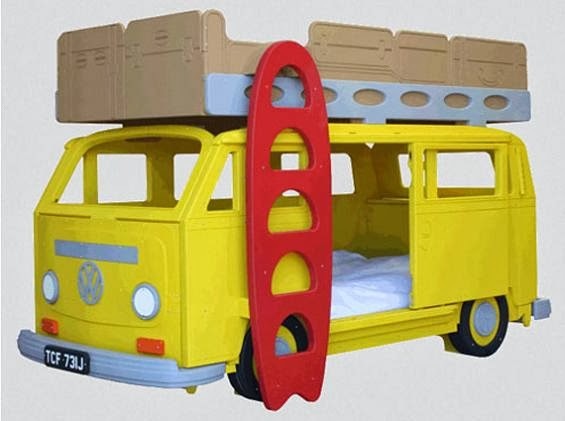 VW Camper Van Bed: VW Camper Van Bay theme bunk bed features a wooden sliding door and a surfboard ladder that takes you to the top. 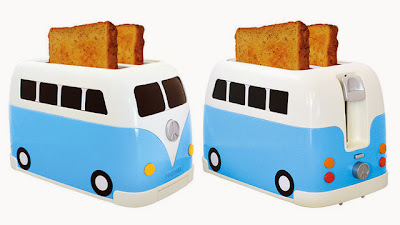 VW Campervan Toaster: Now toast your bread in this cool camper van toaster. 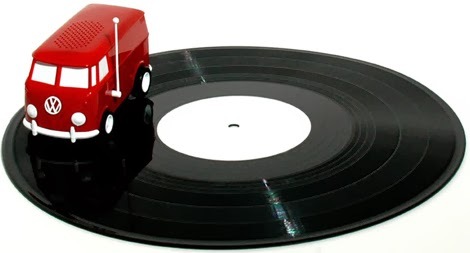 Soundwagon Portable Record Player: The van drives around the record of this Soundwagon Portable Record Player. 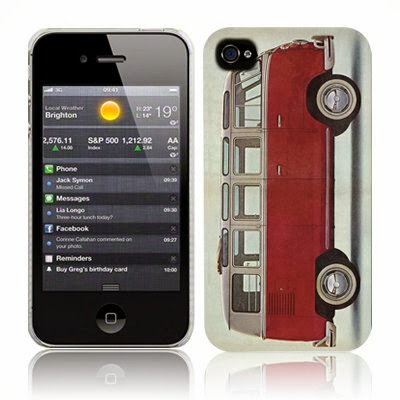 iPhone 4 VW Camper Van Case: Give your smartphone a retro look with this cool camper case. 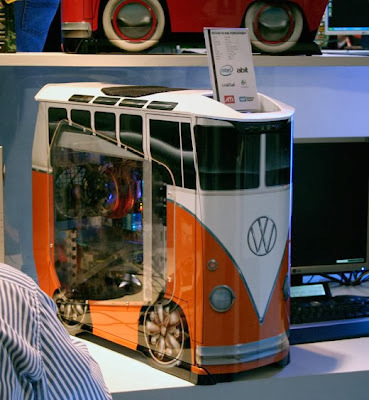 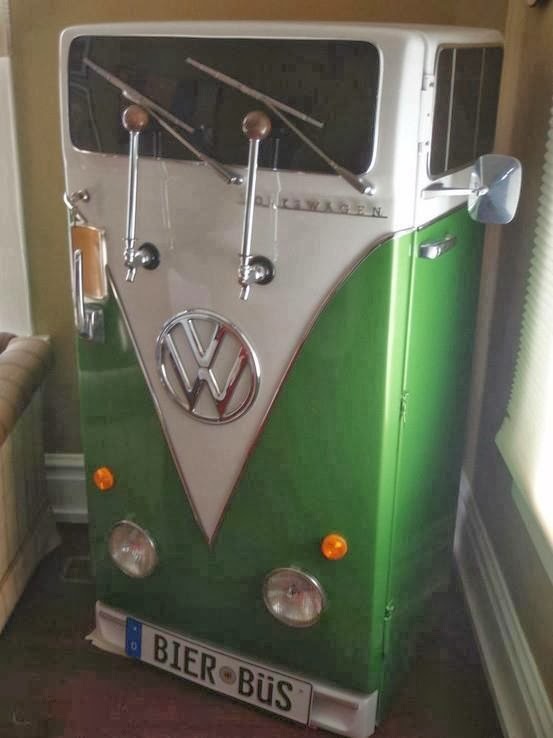 VW Bus Fridge: This transformed refrigerator looks like the front of a Volkswagen Bus. 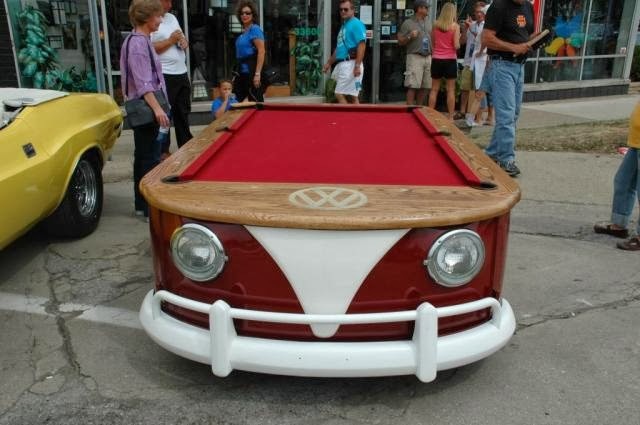 Volkswagen Bus Pool Table: This mobile pool table comes in the shape of the camper.